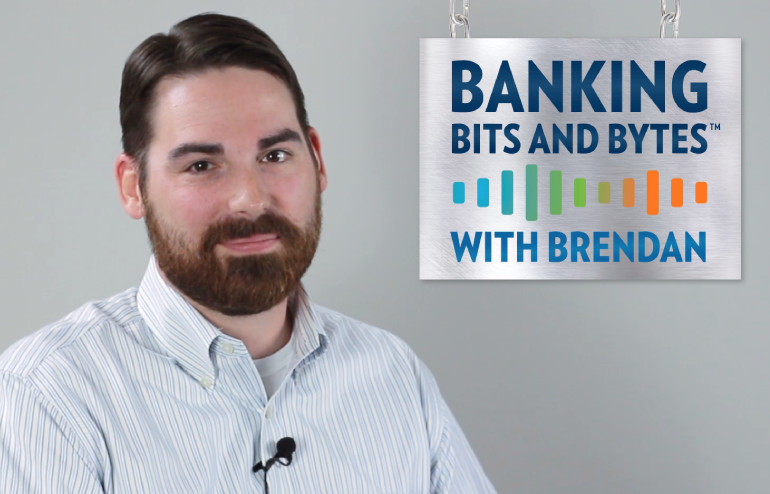 The first course in our educational video series, “Banking Bits and Bytes with Brendan,” is now complete and available! The series, launched in December 2018, is designed to educate and inform our customers and friends in financial services on the technology trends and issues that are impacting our industry on a day-to-day basis. Our Chief Technology Officer and recognized expert in banking technology, Brendan McGowan, acts as the “professor,” taking a humorous approach to complex and challenging topics related to technology, compliance and security. We believe Brendan’s expertise, knowledge and insights ensure each video is a valuable resource. The first video series focuses on the cloud and features six video lessons, each approximately 2-3 minutes long, for subscribers to view. In each, Brendan addresses common questions, dispels myths, and offers advice on the best way to think about — and successfully implement — a cloud strategy. Each video is hosted on YouTube as well as this website. This subscription-based series features video lessons sorted by topic that can be watched at the viewer’s own pace and convenience, and serves as a way for us to share some of our expertise gained from 25 years of serving financial institutions. We invite you to subscribe to “Banking Bits and Bytes with Brendan” to gain access to upcoming lessons, as well as exclusive content or advance notice when new lessons become available.